Enter the battle dome at Marvel Stadium on Friday 22 February, when the revamped, high-octane AFLX tournament returns! With four brand new teams – the Bolts, the Flyers, the Rampage and Deadly – spearheaded by Patrick Dangerfield, Nat Fyfe, Jack Riewoldt and Eddie Betts, it is an event not to be missed. Kids and families can enjoy action on and off the field, with roving entertainment, a range of AFLX-inspired food and beverage options and a dedicated Kids Zone among the activities to enjoy. 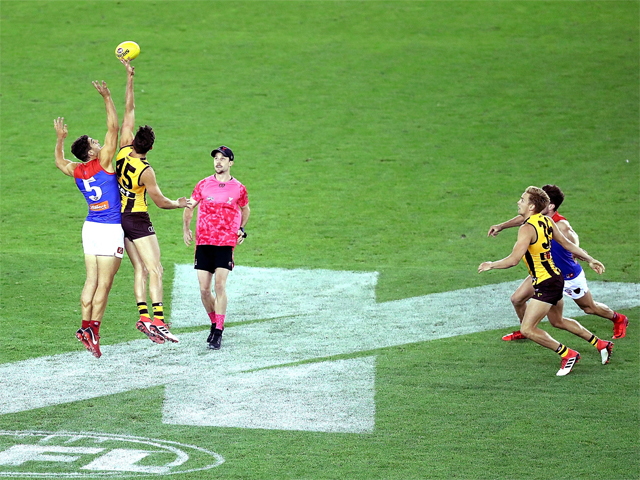 Enjoy the shortened, fast-paced format of AFLX that feature new rules including 10 point super goals, Gatorade Game Changers and the Pink Sherrin!